This case is designed with a watercolor painting of blooming flowers that is great for calming and relaxation. It complements the device's otherwise sleek appearance and boosts its overall appeal. 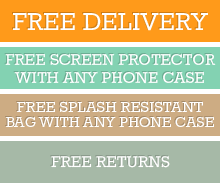 This case shields the device against damage, thanks to its shockproof and anti-scratch features. It has a snug-fitting build that prevents the accumulation of dust, dirt, and other particles over time. It also provides added grip support when handling the device with wet or sweaty hands. Crafted from high-quality TPU, this case is flexible enough to retain its original shape while allowing hassle-free installation. Overall, it can withstand repeated usage without wearing out. It also has precisely placed cutouts for optimum use of the device's functions and features. Click the button below to add the iPhone XS Max Case Purple Flower Patterned TPU Back Shell Cover with Impact and Scratch Protection to your wish list.